clear, ultra clear, blue, bronze, green, grey etc. 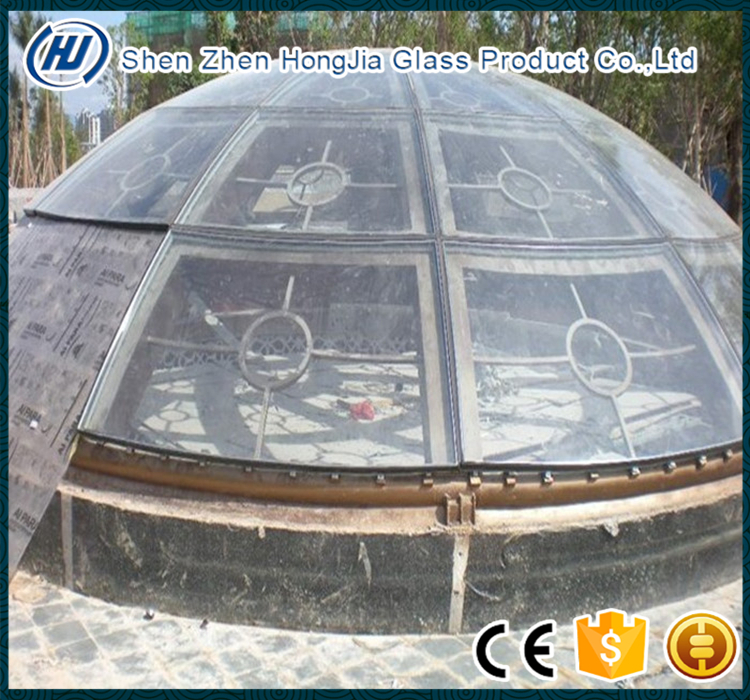 Glass roof, glass skylight, glass dome, etc. 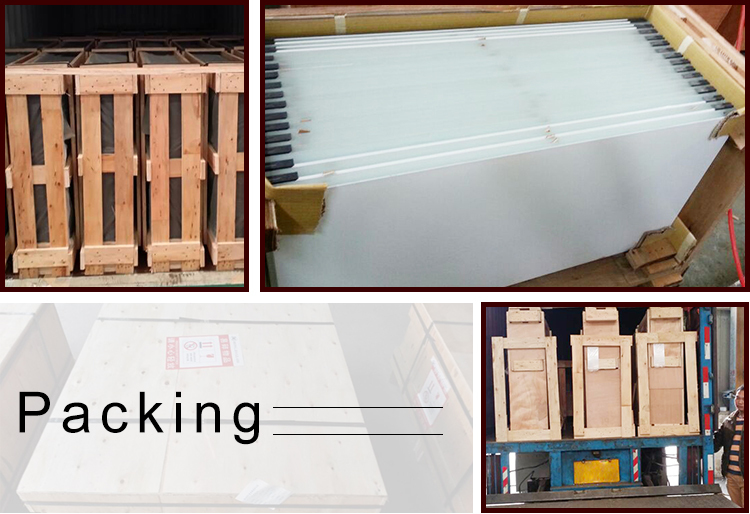 All glass be packed in standard seaworthy wooden crate. It depends on glass quantity. There are 2 different dome glass. 1. Curved Tempered Glass for dome roof. 2. 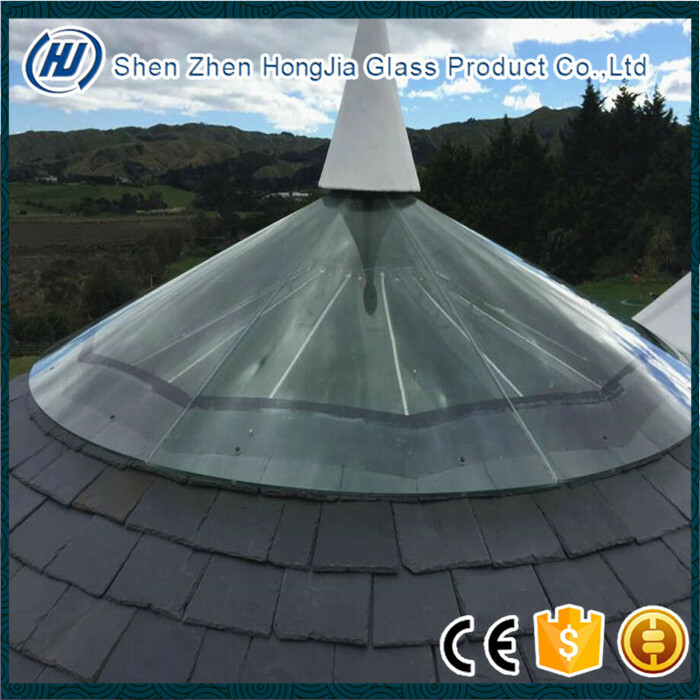 Hot Curved Glass for small roof. 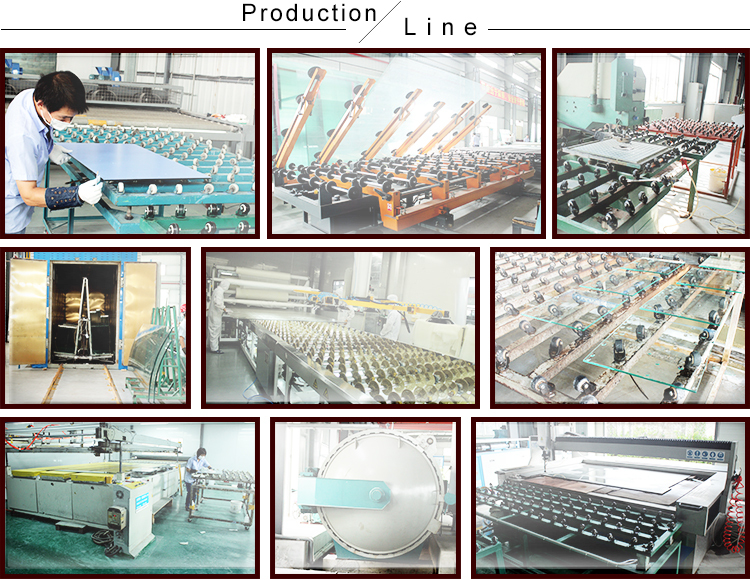 Curved glass manufacture is a time-consuming, highly specialized job. 1. Cut the sheet of glass to size and then clean and polish it, using a UV lamp to check for dust or impurities (any rogue particles would cause the glass to crack or shatter). 2. A steel mould is shaped to the curve radius and dimensions of the desired piece. 3. To stop the pane sticking to the mould, the glass is painted with a mixture of detergent and calcium carbonate. 4. Glass is placed on the mould and loaded into the kiln. Cranking up the heat to 700°C, it will be hot enough to loosen the bonds between the silica molecules so that the glass starts to soften and bend to the profile of the mould. 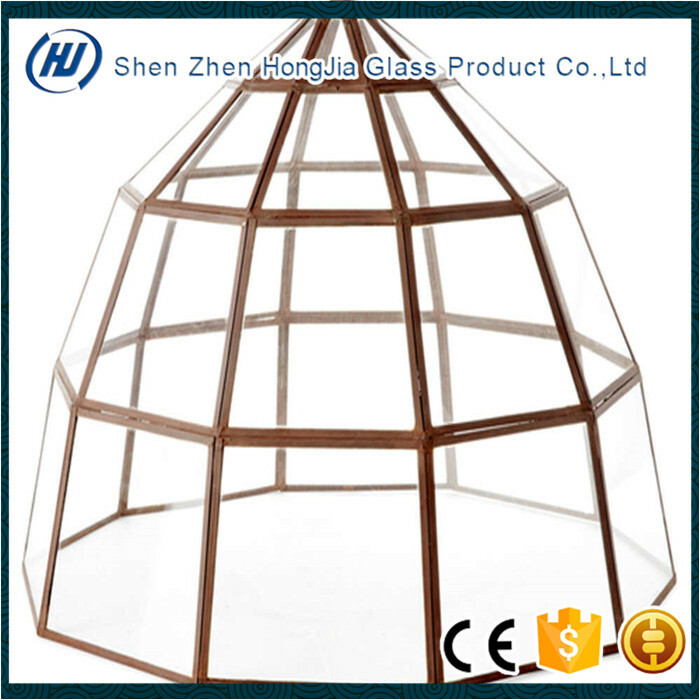 Once in shape, the glass is gradually cooled over a period of about two hours. 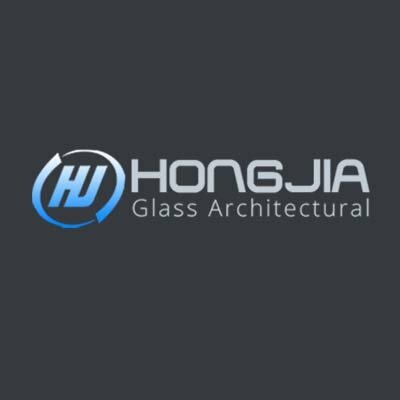 Glass Roof, Window & Door, Curtain Wall, Partition, Dome, Canopy, Furniture glass etc. 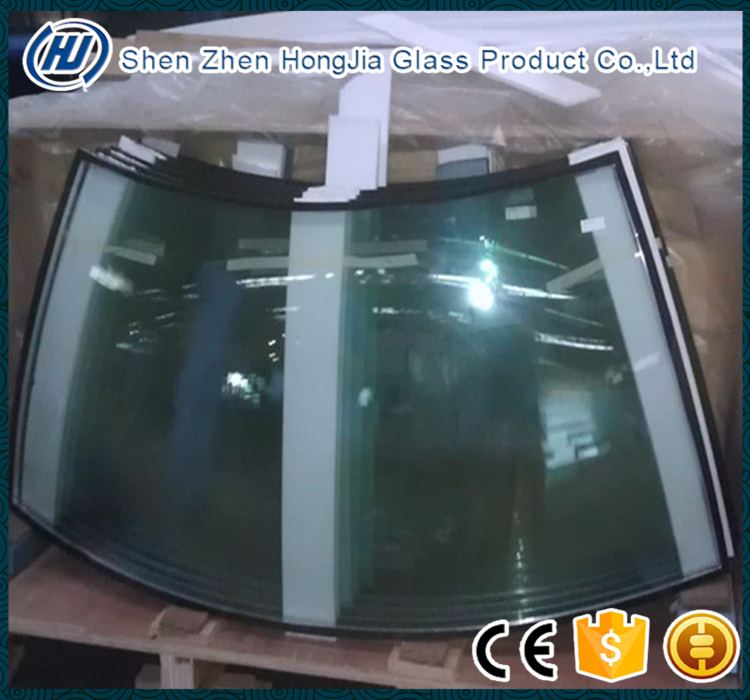 Glass roof is a special product. It could be used to the building tops to be an architectural art decoration, increasing the aesthetic of construction. 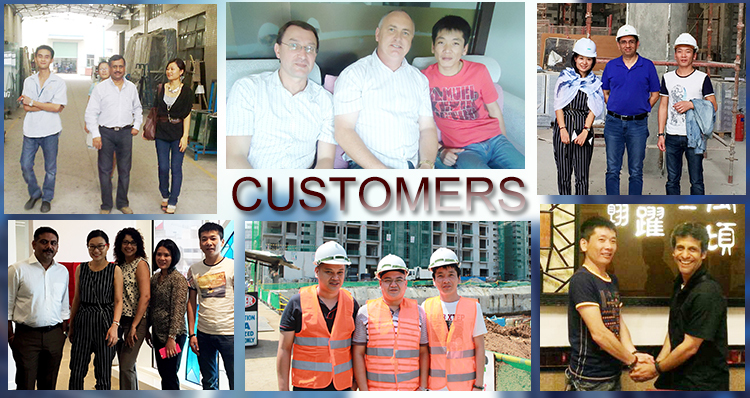 Also widely used to private residence, tower, green house, sunlight room, pub, bar and skylight etc. Glass roofsize could be freely chosen. Just need the radius and height of the whole roof, then design from our technical dept. will be sent to you. Certainly, sketch or drawings will be provided and make clients clear about the dome roof. B. Tempered and laminated glass are the best. Arcuation, cone, cylinder, pyramid etc. Certainly, the awning and skylight are included. 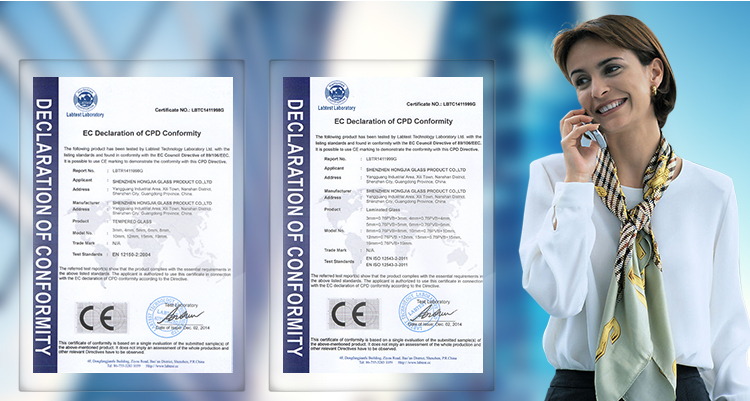 Stainless steel #316 is suitable for this product. It is safer. customized, normally it is metal color or black. Also you can choose color from the RAL or PANTONE color code. 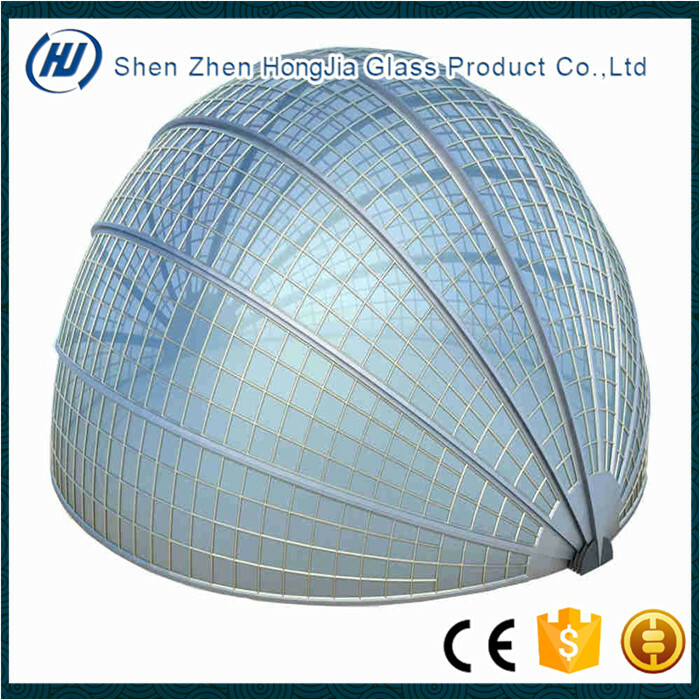 Glass dome roof is a special product. It could be used to the building tops to be an architectural art decoration, increasing the aesthetic of construction. 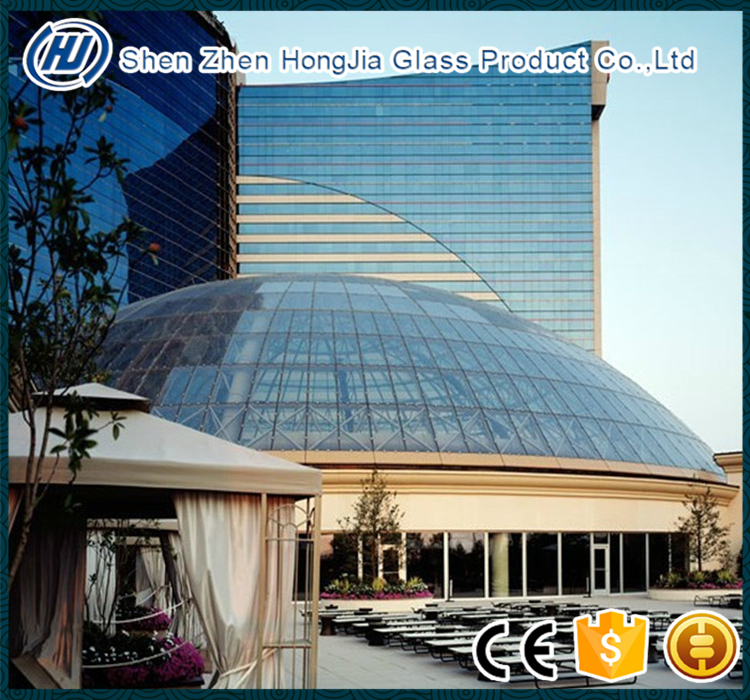 Glass Roof, Curtain Wall, Sumroom, Special Art Building, Bar, Private House, etc.